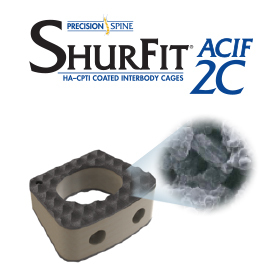 The ShurFit® ACIF 2C combines a high strength PEEK-OPTIMA®* core with a unique, dual layer of coatings applied directly to the endplate surfaces. A biocompatible plasma-sprayed CP Titanium coating, with an outer layer of osteoconductive Hydroxyapatite, provides an optimal environment for osseointegration. 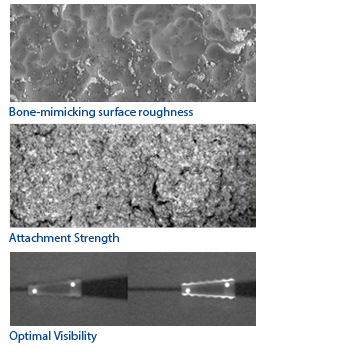 The dual coating promotes rapid bone formation, which offers implant stability, less potential for implant migration and the formation of a stable fusion mass.